You might not be able to see Noelle's (Candace Cameron Bure) feet, but trust us, they're rocking very cute shoes! 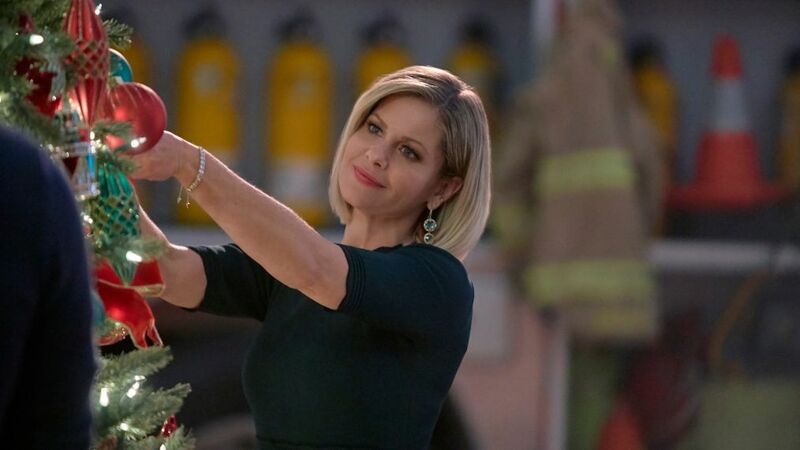 On November 25, Candace Cameron Bure will star in her eighth(!) holiday film for Hallmark Channel, A Shoe Addict’s Christmas. The playful tale finds Bure as Noelle, a department store worker whose life lacks fulfillment until she’s accidentally locked in the store on Christmas Eve and meets Charlie (Jean Smart), her guardian angel, in the store’s shoe department. Charlie offers Noelle a chance to change her circumstances by transporting her to Christmases past, present, and future (sound familiar?) whenever she tries on a new pair of shoes. And of course, this is a Hallmark Channel rom-com so there will be a sweet romance too. Luke MacFarlane (Killjoys, Brothers & Sisters) plays Bure's love interest, a very dashing firefighter named Jake. The film is based on best-selling author Beth Harbison's novel, A Shoe Addict's Christmas, and Bure shares that when she read the book, she knew that she had to make the shoe-based holiday film. “This is like the perfect little Christmas movie — it meshes my love of Christmas with my shoe obsession!” she laughs. And since her character relives memories each time she tries on a new pair of shoes, Bure wanted to surround herself with her own favorite memories... in shoe form. “I brought in so much of my own personal stuff in this movie,” she shares. “I brought an entire suitcase with me, just filled with shoes!" A suitcase filled entirely with shoes is something many of us can relate to! Plus, she gets candid about why she doesn't miss 'The View' and how 'DWTS' changed her.